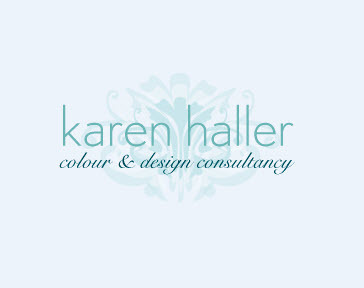 Karen Haller | Colours That Sell | Karen Haller Colour and Design Consultancy is based in West London, UK, working with businesses on their branding colours, business interiors and uniforms. "Karen Haller is an expert in colour branding psychology. However, this is just the tip of the iceberg of what she can help you discover about your business branding. For me the most valuable part of the process was the post analysis of what the chosen colours of my brand convey to potential customers and then about how to make sure the rest of my branding message - website, brochures, social media etc remain CONGRUENT with these values. It may have started with colour but I have gained a concise insight into my target market and how to speak to them on every level from colour through to the customer experience." "Karen did the full colour analysis for my brand. What I liked is the fact that now the colours of my brand fit the values the brand stands for. Karen was also brilliant at directing me to the right agency: they used her colour report to design the logo and product packaging in a flash. I also sent Karen's report to my web designer so that the colour code would be reflected throughout. Thank you Karen!" "What I particularly appreciated was not only the colours but also a new sense of being able to express my personality through my choice of colour combinations and style. To say that Karen has massively contributed to transforming my sense of self expression through clothes and making a huge difference to how I feel about myself is an understatement." do your prospects know, like and trust you? In the past being a known brand was enough. Now it's not. Consumers are more aware than ever before that just recognising a brand no longer automatically equates to liking or trusting that brand. If you want to turn your prospects into actual customers, they need to know you, they need to like you, they need to trust you. But more importantly they need to choose you. With the internet and social media, marketing has evolved allowing businesses of any size equal standing, but also giving the consumer more choice. What do you actively do to get them to know you, like you, trust you and choose you? Never underestimate the psychological impact of your business brand colours on your bottom line. Through the science of applied colour psychology, together we actively align your brand message creating that all important emotive connection that moves your prospects beyond just knowing your brand and into liking, trusting and choosing your brand. What colour training is most beneficial for you and your team. Please email karen@karenhaller.co.uk or call +44 (0)207 7727 4983 to discuss the best solution for you. Download your free guide '7 Mistakes Most Business Owners Make with Their Branding and Colours' today.